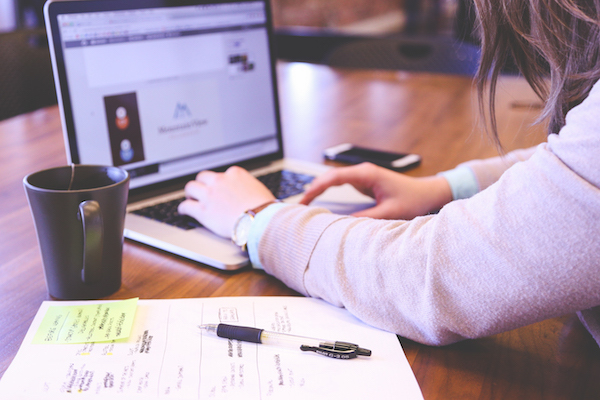 Online advertising helps drive the internet, but bloated ads and heaving tracking can damage your browsing experience by slowing down page loading, compromising privacy and jacking up costs on your mobile data bill. If you don’t have an ad blocker yet, then it’s time you consider getting one. So, what’s the best ad blocker option for your computer and mobile? One that’s built in – and gives you speedier surfing and data savings. We conducted speed tests to see how the different browsers stack up. 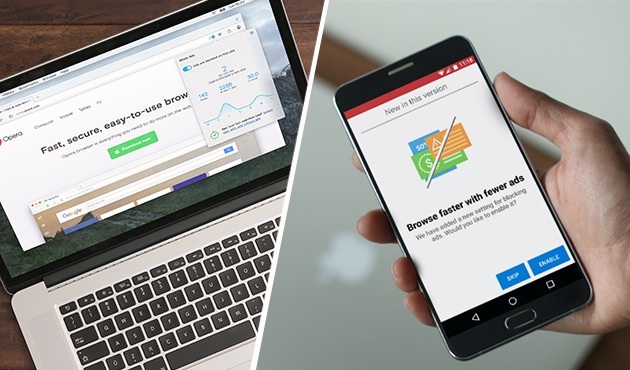 What we found is that competitor browsers with third-party ad-blocking extensions, like Google Chrome and Firefox, take up to 45% longer than Opera’s native ad blocker to load the same webpages. 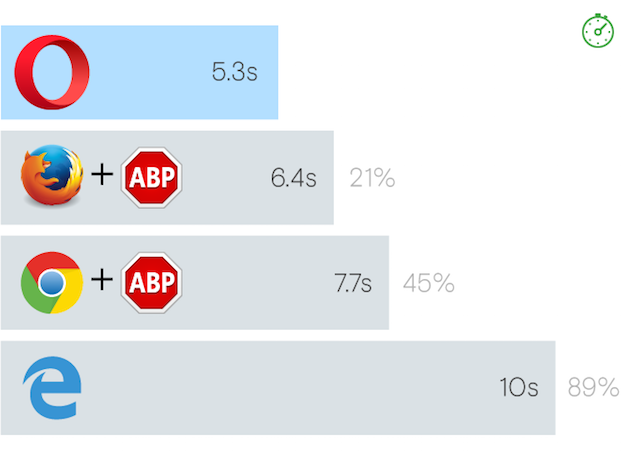 A browser without any kind of ad blocking takes almost 90% longer to load them. Our Opera browser for computers also comes with a speed benchmark, so you can see a side-by-side comparison of how long it takes to load a particular webpage with and without advertising. We also looked at the ad blocker in Opera Mini for Android and found that webpages load 40% faster than with ad blocking disabled. Opera Mini is a browser that drastically shrinks down webpages to up to 90% of their original size before they land on your cell phone. We discovered that our ad blocker crunches down even further the amount of data downloaded on a page – so you can save a further 14% of your data with ad blocking enabled. Whether you’re a speed demon or just cost conscious, check out the faster page loading for yourself. Follow the links below to download the best ad blocker in the Opera browsers to your computer or Android device. 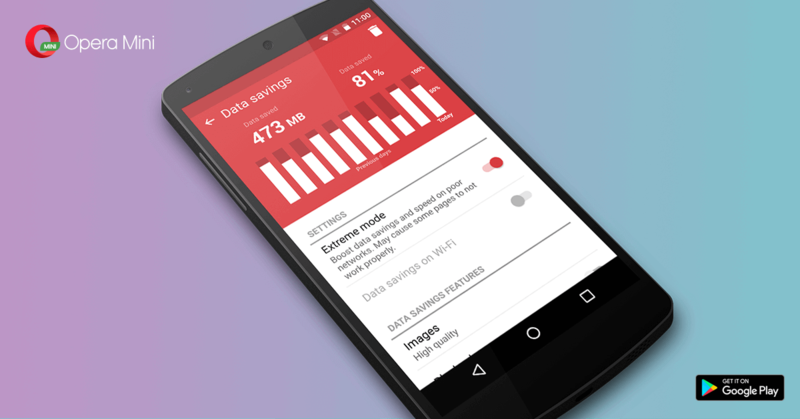 Opera Mini: Under the “O” menu in Opera Mini, tap the data-savings summary. From there, simply toggle “Block ads” on and off. 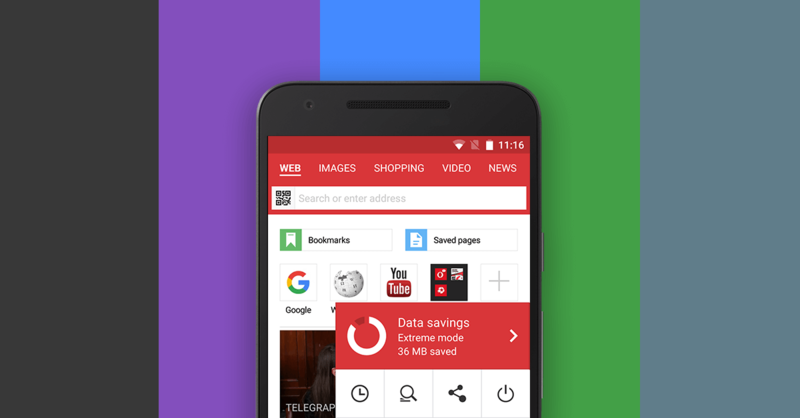 On Android, the ad blocker is available in both high- and extreme-savings modes. Opera for computers: On your computer, the integrated ad blocker can be enabled under settings. To deactivate it for a specific website, click the shield icon in the search and address bar and flip the switch. Previous article: 3 Tips for a better YouTube experience on Opera for computersNext article: What is the internet of things and how are we all a part of it?